Very nice for the price and exactly what I needed for my room! Yes, I would recommend! Give your home a touch of palatial elegance with this beautiful area rug. Featuring an exquisite medallion pattern in soft shades of Caspian blue and beige, the rug enhances any decor with traditional sophistication. The soft, hand-tufted wool is plush underfoot. Ordered for the pattern shown, 9 whole medallions showing on rug, received rug and pattern on My 5x8 has 3 whole medallions running up the center of rug and running down each side 3 half medallions, NOT the picture shown on web site. I happen to be very detail oriented and when I called O about this the person just didn't get it ! To costly to ship back so will try to sell. I will say the color blue shown was right , also tan & green ,was happy with that. So maybe the larger rugs pattern looks like what is shown for the 5x8 & smaller rug, & pictures are just switched on web site. So if you are detailed oriented BEWARE. !! I have been looking for a nice blue rug to go with my french country decor. This rug definitely fits the bill. The color is definitely a french blue and not the green that some reviewers have stated. It does shed, but, so did every wool rug I have ever owned (except for an antique). All I purchase is wool and, trust me, the shedding will stop. I am very pleased with the rug and am planning on purchasing the larger one also. beautiful rug! Love the colors! Many compliments on this beauty! I absolutely love this heavy, wool rug. We recently remodeled and this slate gray/bluish rug looks stunning in my kitchen. I also purchased the larger size for breakfast area. They are very heavy rugs. I did put a nonslip pad under this size but not my larger one as I have large dogs that move it....fine without pad for smaller dogs. Colors are beautiful! Love this rug, would recommend! I think I have bought this exact rug in every available size. I love everything about it: the color, the quality, the design, and the details in the pattern. And then there's the price. I cannot purchase a rug of half the quality, anywhere, for the prices of these, and I shop online a lot. This IS the best deal. Beautiful, thick rug. Great quality for the price. I liked it so well that I also ordered it in 8’x10’. Beware that is does shead quite a bit, but I would order it again and recommend to others. This rug is perfect. It added just the right color to our living room. I looks like a more expensive rug and feels great under your bare feet. It has held up well and hasn't faded in the sunlight. This rug is exactly as shown. Beautiful, thick and great quality. Arrived quickly. 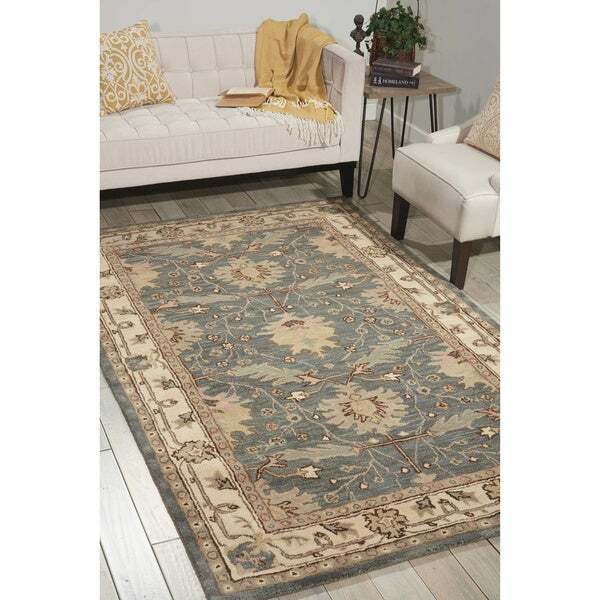 This is second rug I have ordered from Overstock and have not been disappointed . Am ordering more! Great color and fiber density. The rug lays on top of a carpet and does not shift when walked on. Would definitely purchase again. Love the color! Got 4 different in different sizes for my large living room. A litle wool fuzz but mot too bad. Hoping it will subside. Wow is all I can say. The colors are spot on and they feel wonderful. They look a lot more expensive than they cost. High Quality! We love Overstock! I love the colors in the rug and the feel of wool. It sheds way to much the fibers end up in other rooms. It can be vacuumed ever day and still fill the vacuum cleaner. Only buy this rug if you enjoy vacuuming!